Shutter Tours is proud to announce the addition of our Boeing Factory Tours starting on November 27th. This tour will give guests the opportunity to have access to visit the largest airplane manufacturing facility in the world, in Everett Washington. As the owner of Shutter Tours, I am excited to be offering this opportunity for our guests who travel to Seattle. Both of my parents were Boeing employees and my Mom retired from Boeing, having worked in the Everett plant as a procurement agent for 28 years. I have a special attachment to this company as well as the city of Everett, Washington, where I grew up and graduated high school. If you get me on tour, ask me about the time I rode my bicycle across the runway here at Paine Field when I was about 12 years old. Let’s just say I never had so much attention focused on myself from airport security, but it ended with a happy ending, which I will save for my tour. Not only will you see the Boeing factory, but on our drive from Seattle, you will also learn the history of the Boeing Company and how they shaped the economy of Seattle and ushered in the Jet Age starting in the 1950’s. As with all of our tours, this has been put together in a way to help educate you on the Boeing company, its history and what the future may bring. 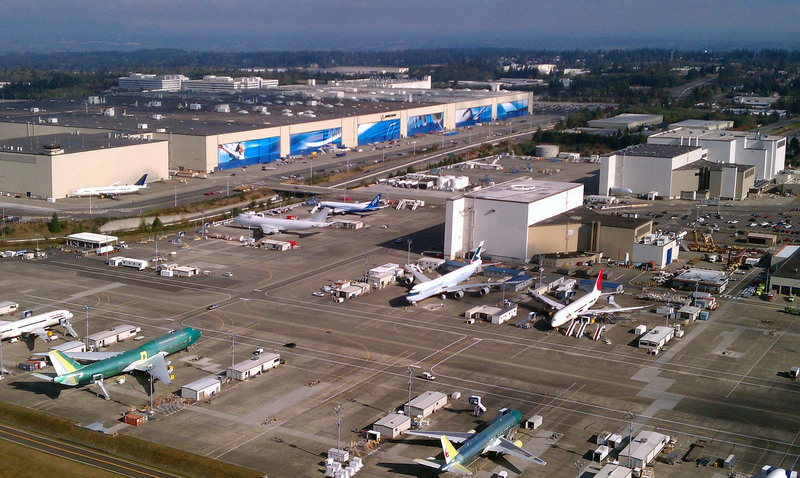 Check out our link to learn more about our Boeing Factory Tour. This entry was posted in Announcements and tagged Boeing. Bookmark the permalink.